Unparalleled access to top-ranked Hollywood LA top clubs and exclusive celebrity events, custom tailored nightlife concierge services, insider access and personalized VIP services at popular nightlife venues in Los Angeles and Hollywood areas of Southern California. 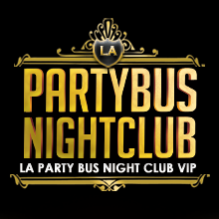 Partybus Nightclub (“PBN”) guarantees you the best night out nightlife in LA experience second to none. PBN delivers top quality VIP clubbing and special events services coupled with 21+ years of experience in party promotions, event planning, hospitality and nightlife in LA. There is not one company nor person with more connections and experience than the team of club nightlife professionals here at PartybusNightclub. Numerous people and companies have copied our website content, our services, even our overall image; yet no one has been able to duplicate our end result with every client we serve. We make your [night] life easy. PartybusNightclub.com offers unbeatable party bus club packages. Are you sick of wasting half the night away waiting in long lines at Hollywood Nightclubs? Tired of the cold shoulder treatment from the bouncers and doormen at Hollywood nightclubs? Do not waste your time using typical LA club VIP guest lists with 1000s of other people. Why? You will be waiting in long lines with the rest of the “VIP List”. Our Hollywood Party Bus | Club Packages include hosted VIP entry that will whisk you past the never-ending line and beyond the velvet ropes of the best clubs in LA. Our team has direct velvet rope VIP club access, from Playhouse Hollywood, Project Club LA, Hyde Sunset, Lure Hollywood, The Belasco, Bootsy Bellows, Boulevard3 Le Jardin, 1 Oak LA and even beyond the California states lines; with additional night and day club expedited line by-pass entry into the hottest Sin City Daylife parties and dance clubs in Las Vegas. PartybusNightclub provides everything Hollywood Party Bus | Club Packages; including bottle service table reservations at top nightclubs in LA, VIP Club Tours, birthday party planning and club birthday packages with bottle service, Hollywood Bachelorette special events services as well as complete access and guides to best nightlife in LA. PartybusNightclub is comprised of a team of nightlife event specialists who have who have produced and promoted spectacular nightlife events ranging from intimate gatherings of 150 personal guests to much larger functions with 2,000 guests or more since 1997. Hollywood Hospitality and Los Angeles Nightlife is our niche. Our mission is to provide quality nightlife at affordable pricing. Experience the Hollywood club scene at top nightclubs with express line bypass entry, free admission, discounted bottle service and custom tailored party bus nightclub packages. PBN is founded solely on the purpose to continue the good times motivated by the support of our clients. PBN is an all-inclusive package, combining concierge services, transportation and daily nightlife club party information with access to the hottest dance clubs, bars and red carpet, celebrity events. Our staff is committed to building long-term relationships with clients, ensuring they receive value from and are satisfied with our services. If you want to party like a rock star on a budget, capturing the attention of people waiting in long lines trying to get into the best clubs in LA as you arrive in style on a gorgeous fun-filled party bus or limousine, then you want to Book Your Ride with PartybusNightclub. Whether you are planning an action-packed girls weekend, guys night out, or reveling in another badass birthday, PBN can arrange full VIP treatment for you and your guests. We specialize in exclusive party services and know all the best venues that will make your any occasion event something your friends will talk about for years to come. So let’s get to it and make it a night to remember! We can set up bottle specials, VIP sections, special bottle presentation, no-line club entry and reduced or no cover at top night spots in LA. We work with only the best places to party in the city to guarantee your best possible experience. If there is any other requests to make your night even more special; let us know. We want to make this an amazing any occasion event. We plan amazing parties. It’s simple. It’s what we do! For faster service use our online forms. We look forward to serving you. Contact us, you will be glad you did. © 2013-2018 PartybusNightclub.com – All Rights Reserved.